OPEN HOUSE SUNDAY, APRIL 28 1-4. This is the DREAM home that literally checks every box for what you have been waiting for! 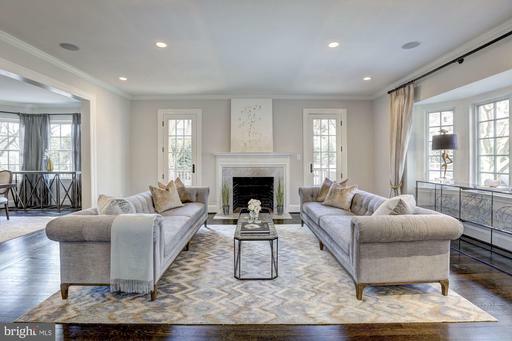 Sophisticated Renovation, Sun-drenched throughout, Spacious almost 5000 sf with 6BR/5.5BA, Expansive closets + storage, Gourmet eat-in kitchen + family room combo opens to wrap-around deck, lower level double recreation room with wet bar leads to private pool on a cul-de-sac in the heart of Wesley Heights! In-Law Suite with kitchen + full bath. OPEN HOUSE SUNDAY, APRIL 28 1-4. THE CAROLINE - Indulge yourself in the experience of a lifetime! 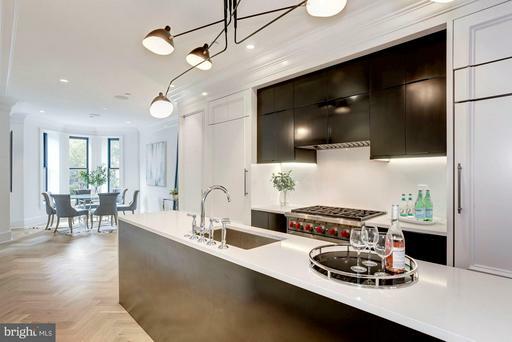 Striking NEW CONSTRUCTION in Logan Circle. 3 Bedroom/3.5 Bath duplex with outdoor space and SECURE parking. The Caroline presents 6 monumental units that have been expertly designed, meticulously curated, and finely crafted to significantly influence your taste in urban luxury. Discreetly situated on a tree-lined street in trendy Logan Circle, this spectacular set of exclusive residences has been designed through a unique lens of sophistication and functionality. Upscale technology dovetails bespoke finishes, resulting in an enviable display of effortless urban living. Sprawling floor plans, hand-crafted millwork, herringbone hardwoods, and a decadent list of stone selections uplift this boutique development into an architecturally stunning masterpiece that suits the pace and palate of an eclectic city like Washington. Innovative millwork seamlessly blends into the interior landscape and features a thoughtful approach at maintaining visually appealing sight lines throughout. Large windows invite natural light to drench each room and the garden-like outdoor spaces bring a special element of entertaining to each home. Parking is of course included, but should you decide to venture out locally, an impressive array of restaurants, boutiques, fitness studios, and services are just blocks away. 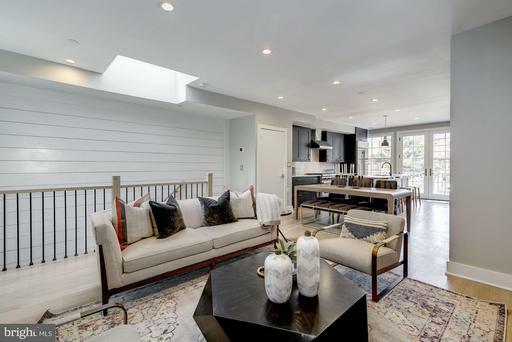 Always fresh and vibrant, 1711 Kenyon St NW features two captivating condo homes, each with a distinct modern farmhouse vibe that invites you to become inspired and fall in love with where you live. Unit #2 is a 2 Bedroom and 2 Bath two-level condo that spans approximately 1,416 SF and includes a private rooftop deck and off-street parking. Hand-crafted shiplapped walls are gently folded into the chic landscape of these spacious homes that are beautifully finished with industrial lighting, contemporary fixtures, and impactful tile selections. Each unit is a superb use of space and has been thoughtfully designed to enhance nearly every lifestyle. The open floor plans cater to those eager to entertain while the bedroom levels are accompanied by an additional family room/office that is perfect for intimate gatherings or a private workspace. With every detail accounted for, the spectacular kitchens are dressed with top-of-the-line appliances, custom cabinetry, and pristine countertops. Each bedroom opens to a serene en-suite bath that is finished with a custom vanity topped with quartz counters, exciting tile work, and farmhouse-inspired lighting. The condo homes at 1711 Kenyon St NW aim to capture the homegrown culture of Mount Pleasant with its welcoming interiors and politely discreet exterior. OPEN SUNDAY 4/14, 1-4PM! 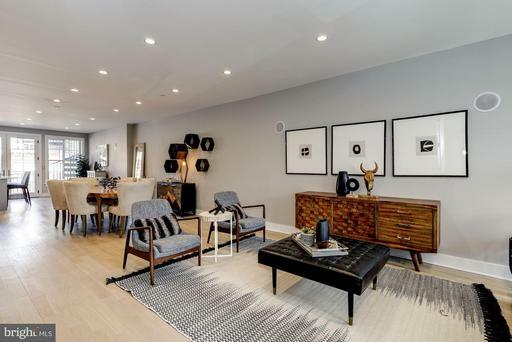 Always fresh and vibrant, 1711 Kenyon St NW features two captivating condo homes, each with a distinct modern farmhouse vibe that invites you to become inspired and fall in love with where you live. Unit #1 is a 2 Bedroom and 2.5 Bath two-level condo that spans approximately 1,665 SF and includes outdoor space and off-street parking. Hand-crafted shiplapped walls are gently folded into the chic landscape of these spacious homes that are beautifully finished with industrial lighting, contemporary fixtures, and impactful tile selections. Each unit is a superb use of space and has been thoughtfully designed to enhance nearly every lifestyle. The open floor plans cater to those eager to entertain while the bedroom levels are accompanied by an additional family room/office that is perfect for intimate gatherings or a private workspace. With every detail accounted for, the spectacular kitchens are dressed with top-of-the-line appliances, custom cabinetry, and pristine countertops. Each bedroom opens to a serene en-suite bath that is finished with a custom vanity topped with quartz counters, exciting tile work, and farmhouse-inspired lighting. The condo homes at 1711 Kenyon St NW aim to capture the homegrown culture of Mount Pleasant with its welcoming interiors and politely discreet exterior.